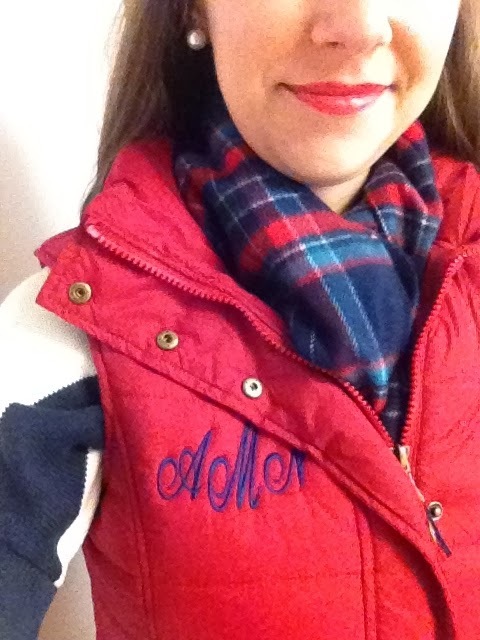 As you can probably tell I am obsessed with all things preppy. 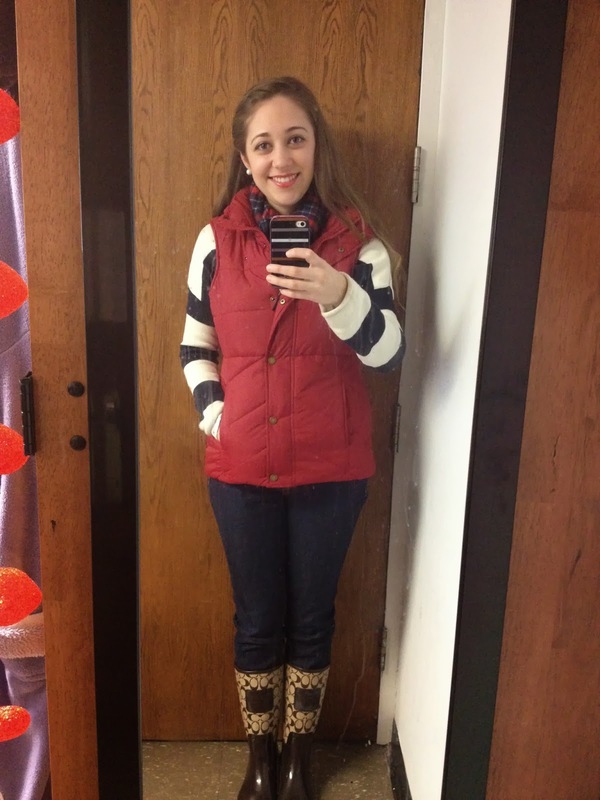 I've been dressing preppy my whole life, and this week my level of prep has been unreal. 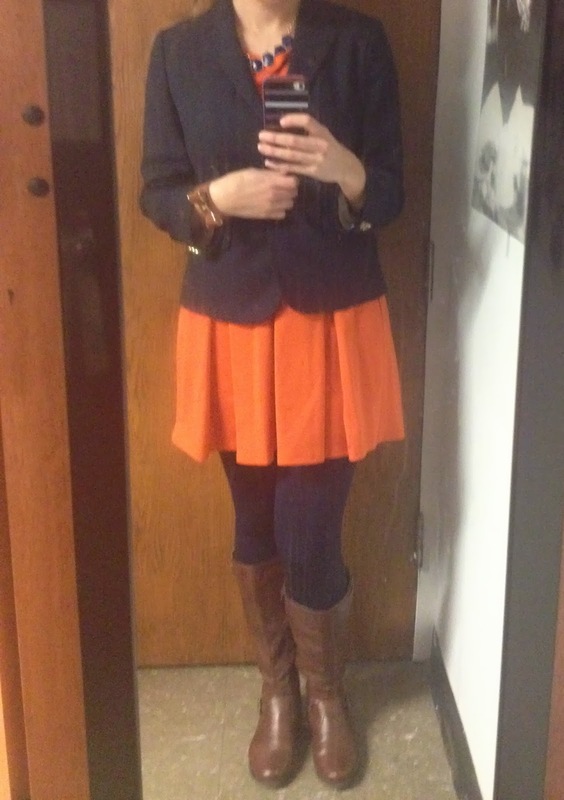 I finally bought a navy blazer and it's created a ridiculous number of new combinations in my closet. 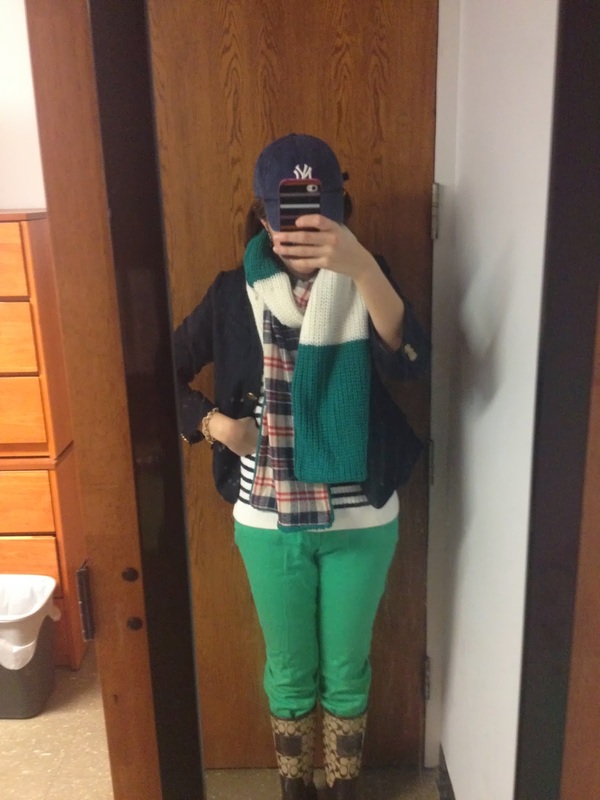 Here's my outfits from this week so far. 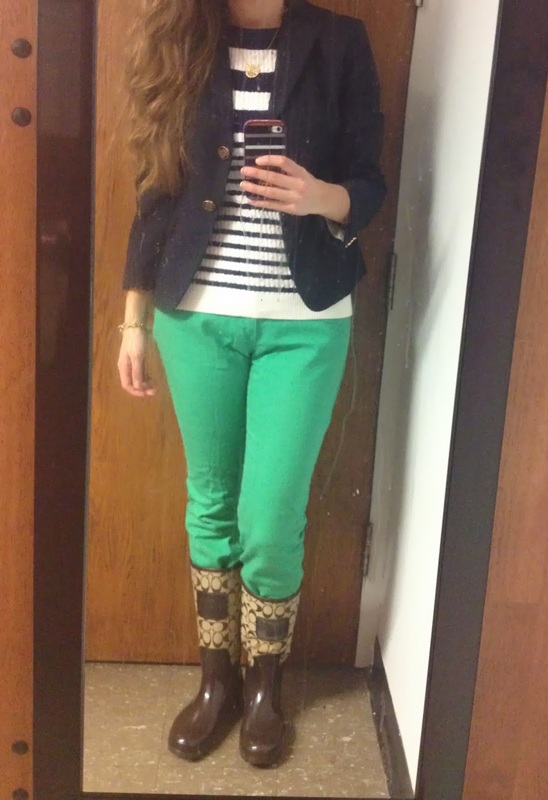 Blazer, Talbots. Dress, Forever 21. Boots, Ross. Tuesday, full of giving tours to prospective students! Blazer, Talbots. Sweater, TJ Maxx. Jeans, Delias. Rain boots, Coach. Bracelet, J. Crew Factory. I wouldn't usually wear a baseball hat, especially with a blazer, but it was snowing and the fur hood on my parka is so big that I can't see! And look at this scarf! The reversable sides mean it matches at least 1/3 of my wardrobe! 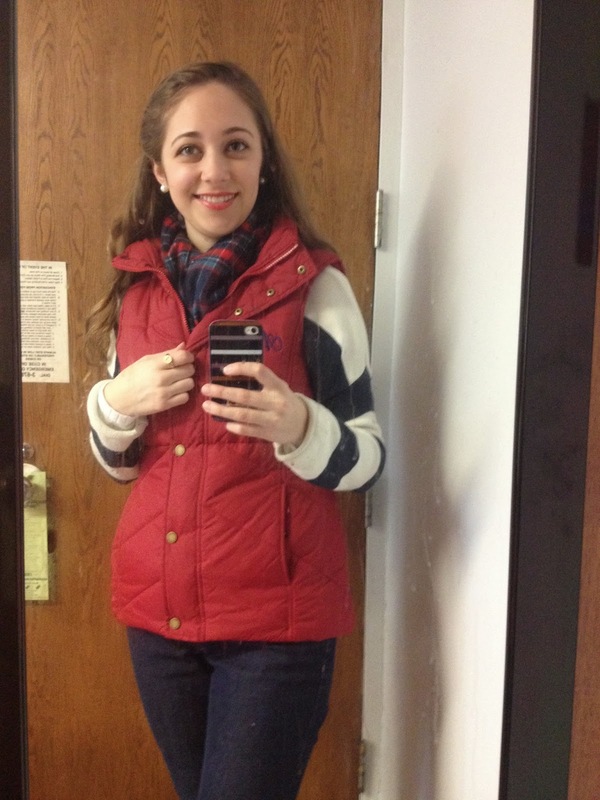 Vest, Tommy Hilfiger. Sweater, Urban Outfitters. Jeans, New York & Company. 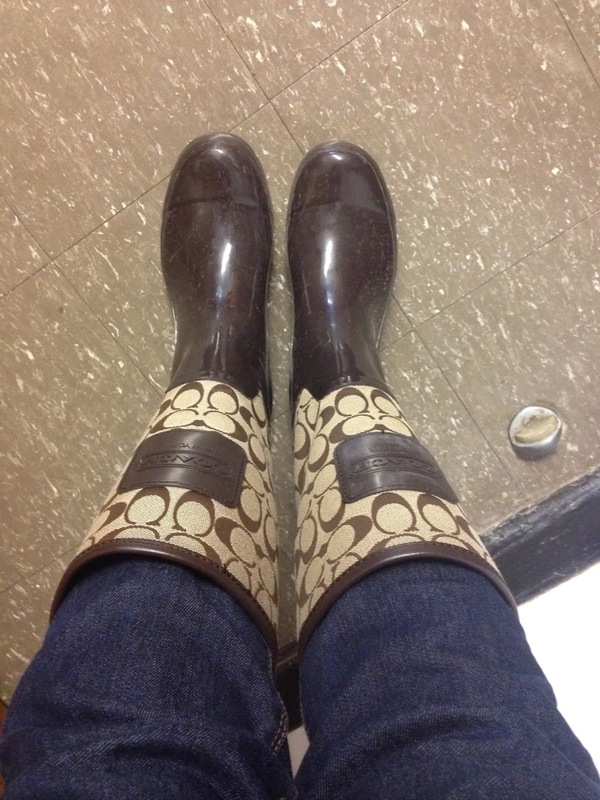 Rain boots, Coach. Scarf, Sam Moon.